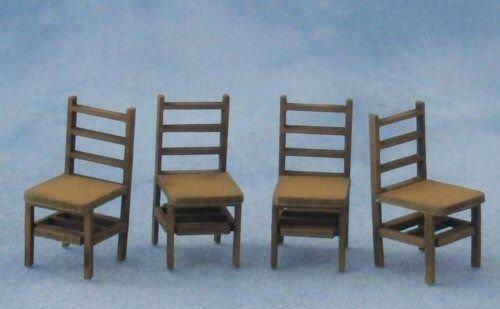 Miniature kit for four ladder back chairs. Could be used in the house or in a miniature cafe or pub. 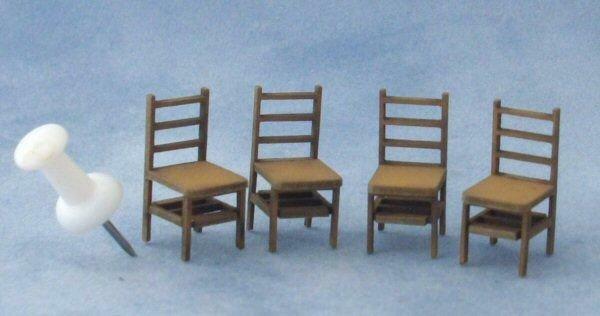 Measures 20mm tall x 9mm wide x 10mm deep. 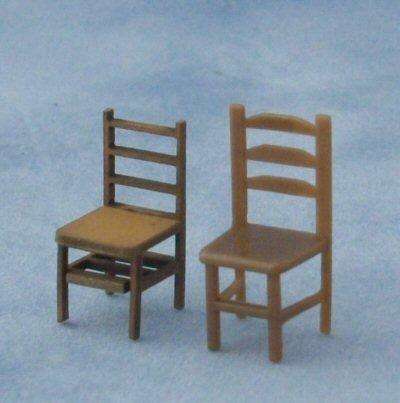 Last picture shows comparison between the ladderback chair and one of the chairs from the plastic furniture sets.